Posted On September 05, 2015 by Team iCynosure. With the terrible environment in Mumbai, and the rapid changes in my very own hair texture I have to include additional products and hair care regimes into my routine to ensure my tresses remain my crowing glory. However these days with the in-flux of numerous products flooding the beauty market it does become a challenge to pick the ones that are right for your hair-type. Last month when I went to the Wella Salon I saw the Wella Professional Oil Reflections Smoothening Treatment with the ‘Salon Exclusive’ Tag and was very keen to try it. So here is how the product fared. What is Wella Professionals Oil Reflections Smoothening Treatment all about? 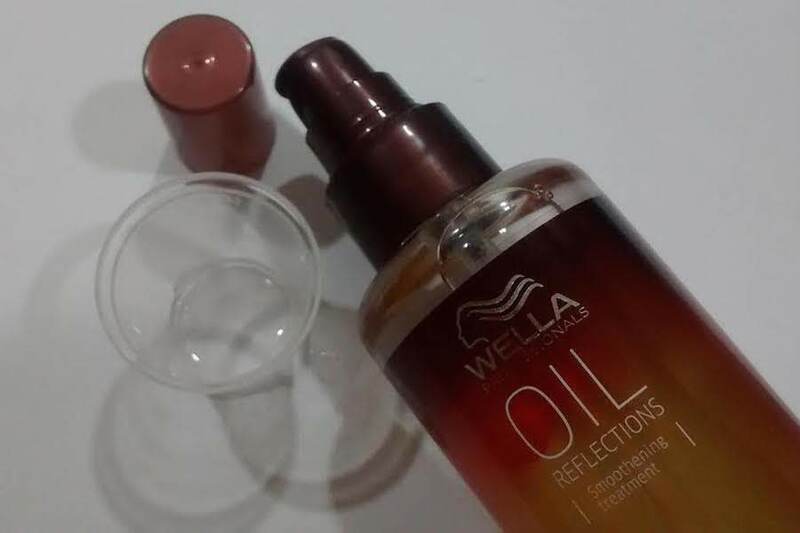 Oil Reflections Smoothening Treatment from Wella Professionals a multi-sensorial formula with Macademia Seed Oil, Avocado Oil and Vitamin E. The serum smoothens hair for glossy shine and luscious lightweight suppleness with an enchanting sensual fragrance. What does the ingredient list of Wella Professionals Oil Reflections Smoothening Treatment look like? Ingredients include Cyclopentasiloxane, Dimethiconol, Alcohol Denat, Perfume, Tocopheryl Acetate, Hexyl Cinnamal, Linalool, Limonene, Water, Cocos Nucifera (Coconut) Oil, Macadamia Ternifolia Seed Oil, Persea Gratissima (Avocado) Oil and Alpha-Isomethyl Ionone. How is the Wella Professionals Oil Reflections Smoothening Treatment priced and packaged? Packed in sturdy glass bottle with a pump-up choco coloured cover the product is very inviting to use. The steady pull-out cover that sits on the pump ensures no-spill and convenient usage as per the quantity needed. The product is priced at INR 850 for 100ml with a use-by date of 36 months from the date of packaging. How is the Wella Professionals Oil Reflections Smoothening Treatment to be used? The best way to use the smoothing oil is to apply 1-2 pumps to the palms of one’s hand and then distribute it evenly throughout the hair shaft and ends. The most effective outcome of use is when applied on slightly damp hair for smoothening and suppleness or when applied to dry hair for beautiful shine reflection. It is a leave-in solution and doesn’t require a rinse-out. The first impressions of the product was that the packaging was rather inconvenient and very bulky and the fragrance wasn’t very pleasing; however it did what it was supposed to do. The oil is colourless and the consistency is more creamy rather than runny like oil, which is what I really liked about it. 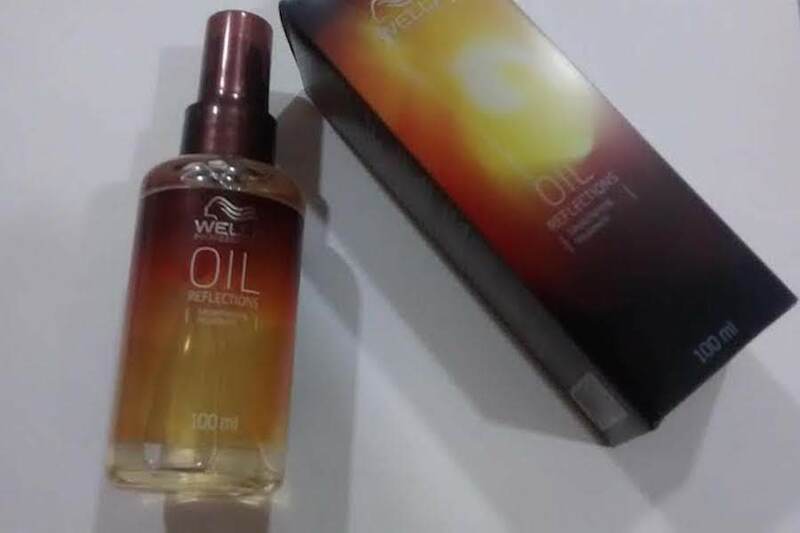 It is not your traditional oil that is meant for nourishing hair to strengthen it or reduce hair fall, but more like a leave-in serum that is meant for hair styling and taming. I tried the product as directed after washing my hair both on damp hair and dry hair and the result was perfect. The oil controls hair frizz and dryness while giving it a gorgeous shine and smoothness. After the regular use I even tried the oil on unwashed hair and was amazed at the result. It did wonders for the look and feel to my hair, giving it a gorgeous bounce and a healthy shine. Now it is my go-to product when I don’t have the time or the zeal to shampoo my hair. All-in-all I in love with the product and do recommend a trial for everyone reading this. * Delivers on the promises made. Will I repurchase / use the product again? Sure. Given the price tag, the product may not be on the list for most people but it is worth a try. I love Wella! I got one of their conditioners last year and it made my hair sooo soft and nice. I am not using any hair serum, but I'd like to give this product a try.